Here is the “how to start guide” for this year’s high school scholarship process. It is very similar to the “how to start” post from last year. The optimal target audience for this information is a high school junior finishing up their junior year. That student is considering college and has a desire to serve in the military. 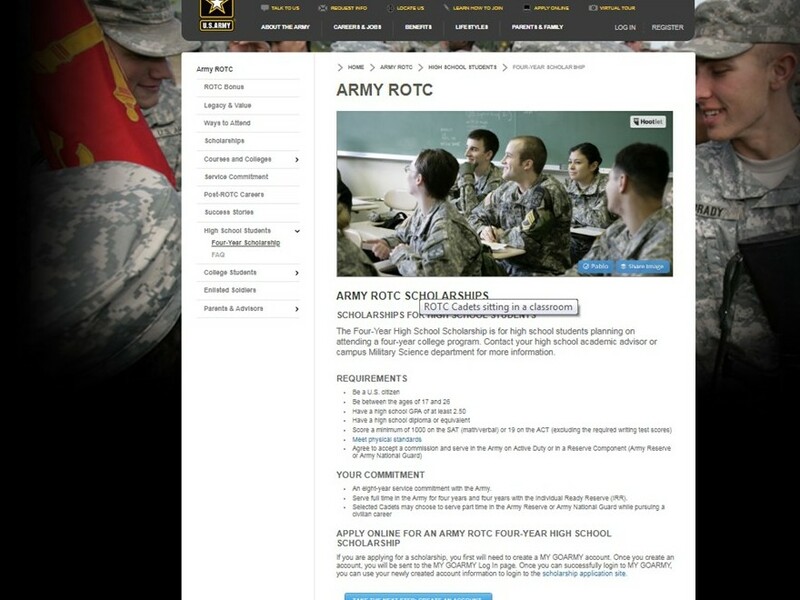 If you aren’t a high school junior and are interested we should still talk, there are plenty of ways to become an Army Officer. Here’s what I think my optimal audience should do. I also suggest that scanning and emailing or scanning and uploading is the best way to respond to requests for forms or documents. On the application website you can scan and upload documents. There is no reason why someone would put something in an envelope and mail it or fax a document these days. Scan and upload when possible.